Dean of Whitworth’s School of Business Tim Wilkinson and co-author Andrew Thomas recently published a new book, The Customer Trap: How to Avoid the Biggest Mistake in Business (Apress). The duo’s book is a follow-up to The Distribution Trap: Keeping Your Innovations from Becoming Commodities (Praeger, 2009), which won the Berry-American Marketing Association Prize for the best marketing book of 2010. In their latest collaboration, Wilkinson and Thomas explore how the pursuit of volume at all costs is not the key to a company’s long-term profits and success. The book features several people closely connected to the Whitworth and Spokane communities, including H.H. “Larry” Larison, former CEO of Columbia Paints & Coatings, and Josh Neblett and Tom Simpson, founders of etailz. “The book is intended to help business people avoid the mistake of turning their sales and marketing over to large-scale retailers,” says Wilkinson, who also notes that The Customer Trap reflects the goals of Whitworth’s School of Business. “The Whitworth School of Business is dedicated to bringing theory to life by exposing students to meaningful experiences in the business world,” Wilkinson says. Located in Spokane, Wash., Whitworth is a private liberal arts university affiliated with the Presbyterian church. The university, which has an enrollment of nearly 3,000 students, offers 60 undergraduate and graduate programs. 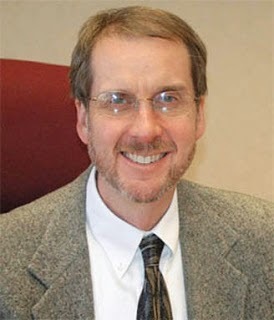 Tim Wilkinson, dean of School of Business, Whitworth University, (509) 777-4567 or twilkinson@whitworth.edu.